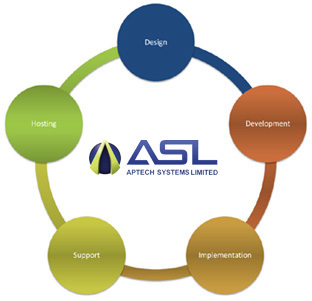 APTECH SYSTEMS LMS is an enterprise Learning Management System that allows organisations and Educational institutes to manage, deliver, and track training participation in online or classroom based environments. Learners can access the course work required, and then process using the appropriate delivery method (classroom, virtual classroom or e-learning). Managers can automate key business flows from registration processing to training delivery and from performance appraisals to training assessments and keep tabs on their team's learning and development. Instructors can manage their own schedules, classes, and rosters with our unique calendar based system which integrates seamlessly with Outlook 2003 and above. Executives can measure the effectiveness of learning activities and ensure alignment with organisational objectives. Learning administrators can efficiently manage all the catalogue objects, learners, and related resources from a centralised system. In summary, turn learning into a business advantage with ASL's Learning Management System.